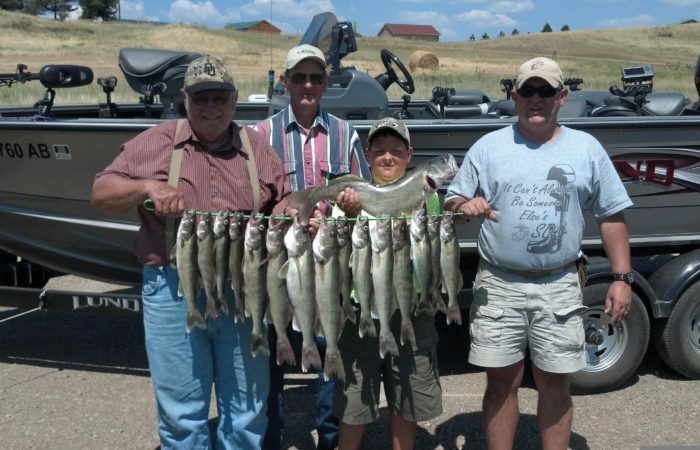 Welcome to South Dakota Walleye Fishing Charters! walleye trip or that day’s fishing will be FREE! 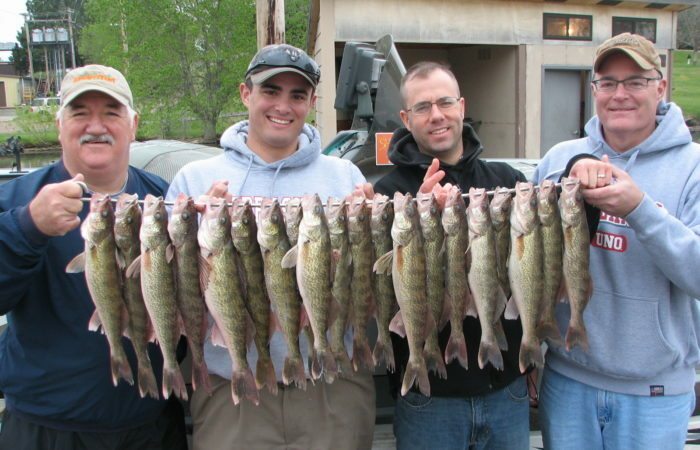 The finest guided fishing for walleyes and smallmouth bass is available to you through South Dakota Walleye Charters. 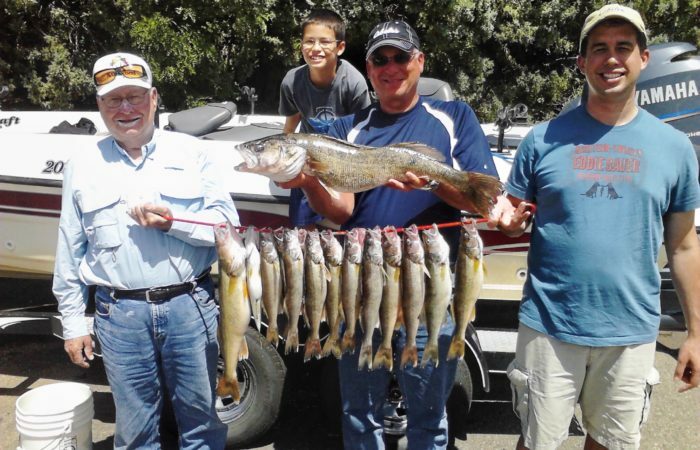 Trips of one, two or three days are available for either species on the Missouri River reservoirs in South Dakota. Dave Dahl has 19 years experience guiding for walleyes and smallmouth bass on the Missouri River. The lakes of the Missouri River in South Dakota have some of the largest fish per acre percentages in the world. In short, they are full of hungry fish. Catch rates of 50-100 fish per day are common. Of course, we abide by all state laws and practice good catch and release. We take only the fish you want to take home. South Dakota’s Best Kept Secret – Smallmouth Bass Fishing! In May, June, and July we provide guided trips for smallmouth bass. Big numbers of fish in the 1 to 3 pound class are common as well as a chance for a 3-pound trophy. This is the best-kept secret on the Missouri River as very few fishermen take advantage of this fishery. Weather can be a factor, so we recommend you combine your smallmouth fishing with a day or two of walleye fishing to maximize your fishing experience! 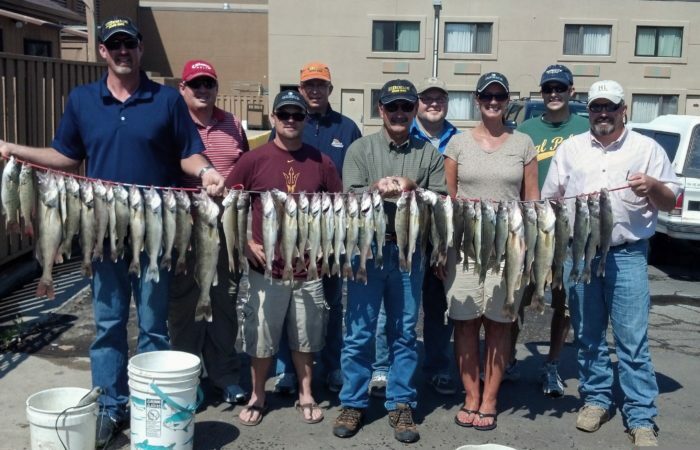 At South Dakota Walleye Charters we want you to know our success is built on one thing – catching fish! Whether you are a novice or experienced angler expect to catch lots of fish. We encourage fathers, mothers, grandmas, and grandpas to bring the kids fishing. They will have a blast and learn respect for the outdoors. Our trips include a clean and well-maintained boat with motor, experienced guide, bait, gas, rods, reels, and transportation from your lodging. All you need is your license, food, drink, and weather related clothing. We Take You To Catch Fish, A Lot Of Fish!